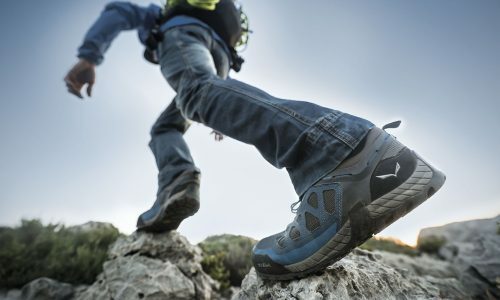 The Salewa Mountain Trainer offered more support and stability than any of the other boots in our test. This boot seems to be designed to wrap completely around the foot and hold it securely in place. The suede upper is soft enough to move with you, but thick enough to offer plenty of protection against rocks or branches. 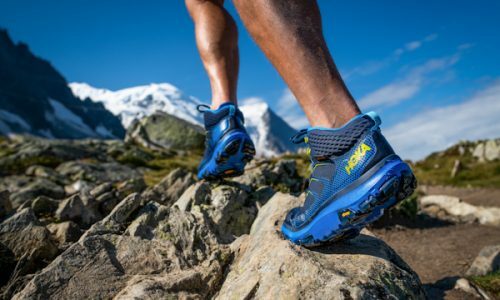 The Vibram outsole provides a stiff platform to support your feet on long treks with heavy loads and offers enough traction to keep you stable on nearly any surface, including snow and ice. 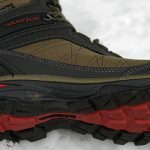 From the moment you pick up the Mountain Trainer, there’s no doubt that Salewa did not skimp on the quality of this boot. From heel to toe, this boot is well-made with the kind of quality materials and craftsmanship that gives you the confidence to know that they will last for years regardless of how much punishment you throw at them. 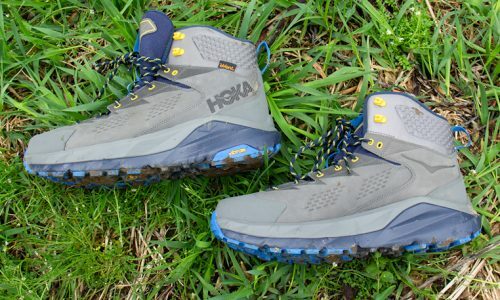 The Mountain Trainers were among the most comfortable boots we tested. The outsole is a bit stiff for everyday wear, but the Bilight midsole does an excellent job of cushioning the foot in all the right places. One of the most welcome features is the Flex Collar on the back of the ankle that doesn’t put pressure on your Achilles’ when you squat or kneel down. 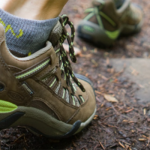 Combine that with the way the boot is designed to wrap around your foot and the Trainer becomes a boot that is extremely comfortable to wear right out of the box. While they weren’t the warmest boots in the test, and toes did get cold when standing stationary for half an hour, the boots did a good job of keeping our feet warm as long as we stayed active. 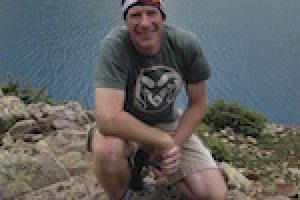 If the Mountain Trainers have a fault, it’s their weight. 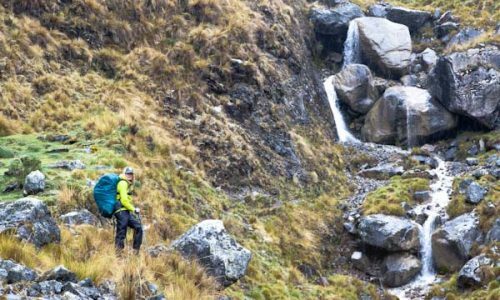 The quality construction and unyielding protection come at a price, after all, and for the Mountain Trainers that price is 4 lbs. of boot to carry along on your journeys. All things considered, these boots aren’t actually all that heavy, especially for a pair of quality winter boots. They just happen to be the heaviest boots in this test. 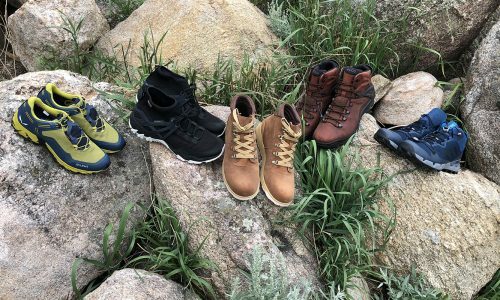 When it comes to hiking boots, comfort and protection aren’t typically mentioned in the same breath, but the Mountain Trainers are every bit as bulletproof as they are comfortable. 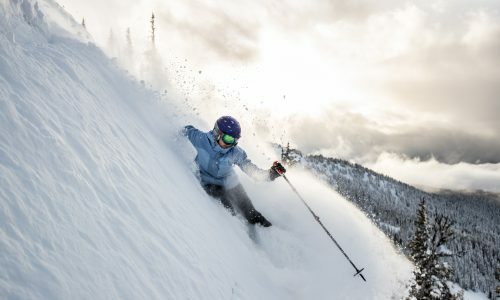 The Gore-Tex liner kept our feet dry even during activities in the spring slush, and the Flex Collar made it possible to cinch the ankle laces down tight to prevent snow from getting inside the boot without sacrificing any mobility. 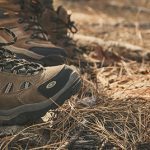 From the thick suede leather of the uppers to the thin but puncture-proof rubber rand that runs completely around the boot, the Mountain Trainers appear capable of handling some of the harshest environments on the planet without making your feet pay the price. This is a go-anywhere, do-anything kind of boot.